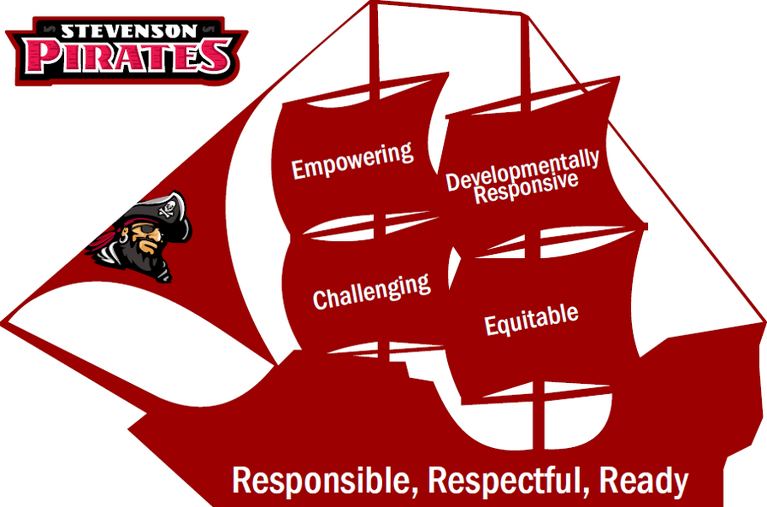 Stevenson is a community that is committed to providing a developmentally and culturally responsive learning environment that is interdisciplinary, age-appropriate, and provides opportunities for reflection for students and staff. Our curriculum is adapted to be rigorous, challenging and engaging as well as providing feedback for continuous progress for every student. Students will be guided toward independence and take ownership of their own education. We embody a whole-student approach that gives access to learning and enrichment opportunities to succeed in high school, college, and beyond by supporting their individual strengths and areas of growth. Stevenson is a learning environment where together we can all be college and career ready with a global perspective.